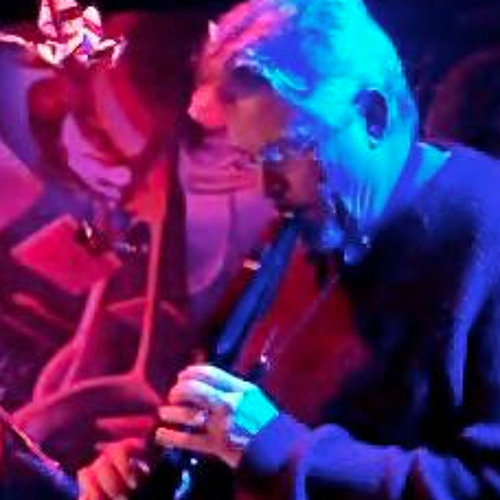 Bernie Kenerson is irrefutably one of the leading artists in the international electric wind instrument (EWI) community. Drawing on his extensive knowledge of acoustic instruments, jazz philosophy, music theory, composition, sound design, software and new developments in electronics, he is at the forefront of the technological continuum and shows no sign of slowing down. With his feet firmly planted in two worlds, Bernie Kenerson has enjoyed commercial success and wide acclaim in contemporary jazz for the last 30 years, while his Bernzilla moniker has come to be a highly respected name in both wind controller circles and electronic dance music. Nicknamed 'Emperor of the EWI', Bernzilla is an EWI-centric recording and performing artist known for his flawless technique, expressiveness and innovative use of breath control who is just at home playing oboe, clarinet and horn emulations in the orchestra pit at a musical as rocking a packed club with his own sound creations alongside a drum and bass DJ. His insatiable thirst for new technology means he is constantly innovating; his most recent breakthrough 'Instant EWI' has revolutionized EWI players' interaction with software and hardware. An inspirational teacher, Bernie imparts his wealth of knowledge and infectious enthusiasm to students of all levels, promoting 'The Art of the EWI' to the next generation of contemporary wind musicians. Born to musical parents and growing up in the early days of the electronic age, Bernie was destined to become an electronic artist. He began playing clarinet at age 7, then saxophone and flute. He started to use a pick-up and run these instruments through effects pedals and stomp boxes as a teenager. At age 21 he got his first Lyricon, then moved on to MIDI in the 80's and has been at the front line of technological developments ever since. Bernie's musical studies include a two year professional diploma from the Berklee College of Music and a Bachelor of Music degree from Appalachian State University. In 1982 he received the Downbeat magazine Outstanding Soloist Award for his Lyricon playing and performed with his group Slipstream at the 1982 World's Fair 'Energy in Motion'; other highlights include winning three Cammy awards and the nomination for Grammy consideration of his 2012 solo album 'Future Step'. He has shared a stage with DJs MixMaster Doc, Sinistarr, Random Movement and jazz artists The Yellowjackets, Spyro Gyra, Gato Barbieri, Kim Waters, Bob James, Jimmy Smith, to name a few and had many successful album releases including Just You & Me, Bernie Game and Make My Jungle Electric. Throughout his impressive musical career, Bernie has played and held residences at prestigious events, concerts and festivals in every continent, and finally decided to focus solely on the EWI in 2006. Bernzilla now enjoys regular bookings and collaborations with his group Science Factory, diverse ensembles, DJs and producers of various electronic genres, and solo. Concentrating on the EWI4000S, EWIUSB, software and hardware, Bernie plans to continue helping other players through the creation of a new 'EWI Academy' website, more online tutorials, a breath control programming guide and an EWI sample / loop pack. He will continue playing live as much as possible and exciting future projects include 'Limitless', a highly original jazz/electro solo project, and a blues project the sixth and last CD to finish his 'Art of the EWI' box set started in 2007. His future is bright as Bernie promises to remain at the front of the EWI-centric technological music production continuum.